Denkwerkstatt live! Exclusive group of participants based on personal invitations, introductory speech about key topics, open and controversial discussions – since we started in 2011 the symposia became a fixed date not only in our annual planning but also for some of our clients. 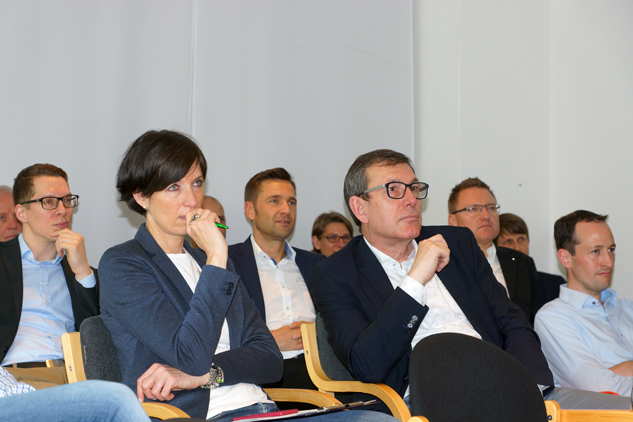 For the seventh time top managers from economy and administration were hosted by the Denkwerkstatt für Manager during the annual symposium at Mannheim. This year, we discussed the topic “measuring and evaluating”. The 6th symposium by Denkwerkstatt was conducted on the 16th of April 2016. Here, questions about the meaning of lateral management were discussed. In addition, we argued about the consequences of digitalization, increasing competitive and innovation pressure concerning structure, processes and management. The 5th symposium organized by the Denkwerkstatt took place at the 18th of July 2015. As always the team picked up and discussed interesting and current questions according to economy and management. Dr Roland Geschwill (Denkwerkstatt) started with his speech about an epoch-making thinker: Joseph Schumpeter’s reception of capitalism. This speech was followed by Prof Konrad Mussenbrock’s part about Jeremy Rifkin and his concept of the 3rd industrial revolution. Andreas Pfeifer discussed the question if the era of empathy – as predicted by Ian MacMillan – will start in management. Dr. Martina Nieswandt offered the closing speech about megatrends in management (Management 3.0). Hence, the 5th symposium again promised an exciting day for the invited guests. As the CSIO of show jumpers took place in Mannheim at the same time, the symposium closed on the next day by visiting the 100th price of nations. Here, we had the opportunity to discuss with Ludger Beerbaum (one of the world-best professional show-jumper) about leadership and motivation (see video). The 4th symposium took place at the 24th of June 2014. Again, we chose a very challenging issue for this event – freedom. Controlling of organisations is the basis for successful management in the 21st century. The alternative draft is the idea of spontaneous order by the Austrian nobel-prize-winner Friedrich August von Hayek. Hayek was sure that human beings, if they aim to plan economy, overestimate themselves with regard to their limited knowledge. Today, managers complain about overfull date books, too little time to think fundamentally and low range of freedom of scope. How can leader win back a more of freedom? This questions and much more have been discussed extensively. The latest publication to clearly illustrate the importance of innovations for a company’s bottom line is Walter Isaacson’s biography of Steve Jobs. But just how do we come up with innovations? Denkwerkstatt has researched this subject for two years, paying particular attention to projects implemented by creatives (the visual arts, music and in particular jazz, architecture, performance art) and has produced some notable results. Topic of this year’s symposium by Denkwerkstatt für Manager on the 8th of June 2013 was the tension-laden relationship between art and economy, with highly qualified speakers and a top-class group of participants. That´s “Denkwerkstatt live”. March 2012 – “Think tank” shows its true colors at the 2nd Symposium, featuring top speakers, hot topics, controversial discussions and important food for thought for the participating managers. 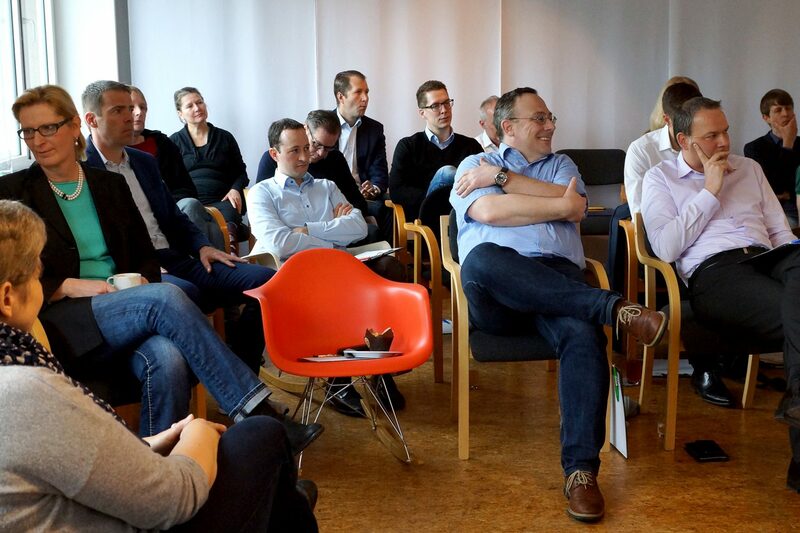 “Pre-premiere” of Denkwerkstatt for Managers: outstanding lecturers, hot topics, controversial discussions and plenty of food for thought – the “Denkwerkstatt” vision is becoming reality!